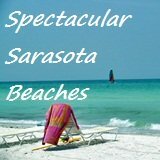 Escape-to-Sarasota.Com offers highly targeted Sarasota advertising opportunities to the Sun Coast tourism and leisure market from high-quality tourism and leisure related businesses focused on reaching vacation planners, tourists, snowbirds and locals. 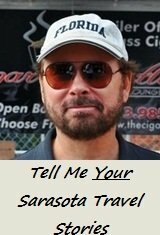 Let’s start with this question: what is good advertising? And, good advertising delivers targeted eyes to your message about your high-quality product, business, service, attraction, experience or event and reinforces your brand and image. And when your message, your image and offer are enticing, those targeted eyes will deliver a targeted customer’s feet right to you. That’s what good advertising does. 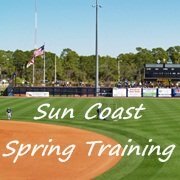 That’s what Escape-To-Sarasota.com does: it delivers highly targeted advertising to eyes that are focused on Sarasota, Florida and the surrounding area known as the Sun Coast. Anyone can put up a web site. The total number is now over 200 Million sites or blogs. Most sites, even sharp-looking ones, attract almost no visitors. 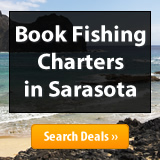 Escape-to-Sarasota is ranked in the Top 0.5% of sites in the world! Vacation planners - as far as a year in advance. Current Tourists (From the U.S. Canada, England and Europe). Travelers just passing through – they may still stop, stay, site see and eat. Does your business offer a quality product, service, event, attraction or experience focused on the Sarasota tourism or leisure market? Escape-to-Sarasota.Com has a limited number of Sarasota advertising opportunities available to feature high quality sponsors that are involved in Sarasota and Sun Coast tourism, recreation and leisure related businesses. 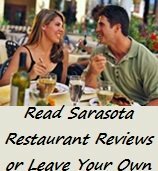 This insures that our site visitors receive only the best quality experiences from our advertisers as a result of being a visitor to Escape-to-Sarasota.Com. A win-win-win. If you're a non-advertiser site visitor who is reading this: make sure to support our sponsors. 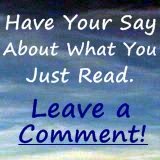 By doing so you are assuring yourself of a quality experience. 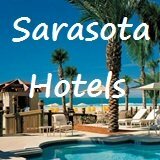 If you represent a Sarasota or Sun Coast area business that sells tourism, recreation and leisure related services, events and experiences (hotels, condos, restaurants, unique shops, excursions, attractions, etc.) and you’d like to learn more about the highly targeted advertising opportunities available on Escape-to-Sarasota.Com, click here and learn more.